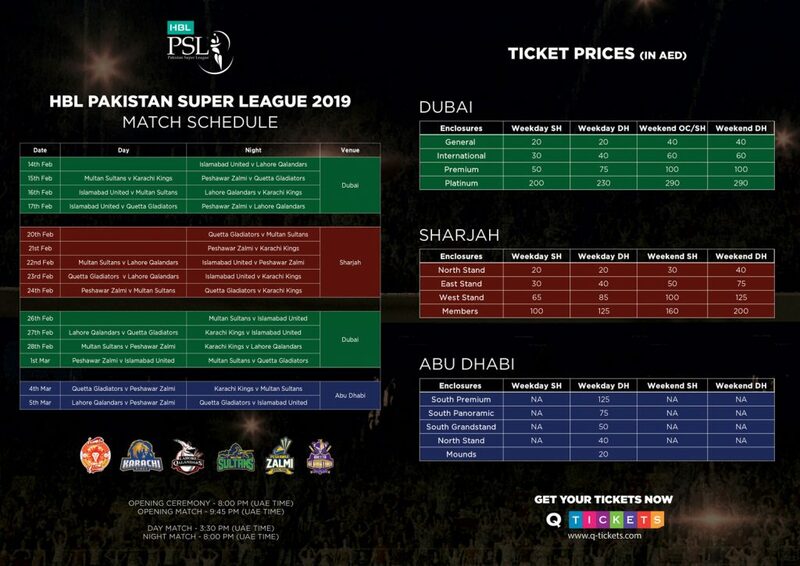 LAHORE: Tickets for the Dubai leg of Pakistan Super League (PSL) are now available online on www.q-tickets.com/psl. The second leg will kick-off with a clash between Islamabad United and Multan Sultans followed by three more double-headers on February 27, 28 and March 1. Earlier, tickets for the Sharjah and Abu Dhabi leg of the tournament were released. Sharjah is hosting a total of eight PSL games; the historic venue with the record for staging most one-day-internationals (236). 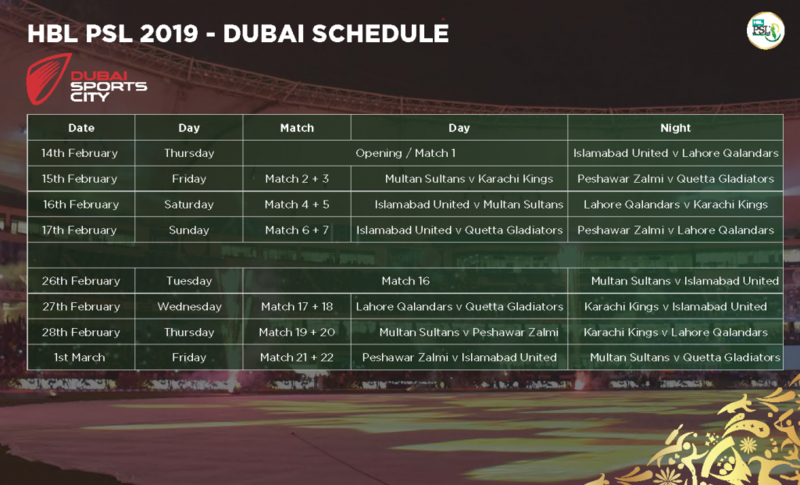 PSL 2019 arrives at the Sharjah Cricket Stadium on February 20 with a match between Quetta Gladiators and Multan Sultans. Sharjah crowd favourites Peshawar Zalmi take on Karachi Kings on February 21 followed by a double-header on February 22. The PSL comes to the Zayed Stadium, Abu Dhabi with a total of four matches scheduled at the venue on March 4 and 5. On March 4 in the opening match at the venue Quetta Gladiators take on Peshawar Zalmi. Karachi Kings and Multan Sultans play the night match the same day followed by Lahore Qalandars vs Peshawar Zalmi and Quetta Gladiators vs Islamabad United matches on March 5.